It's a question that seems to come up in every interview or talk I give: what made you decide to combine fashion and politics on your blog? What about fashion is political? Or at not-so-friendly panels, I’m asked: how someone who wears the hijab can be “into” fashion, given the reasons why I dress modestly and cover my hair. If fashion is about vanity, they ask me, then how can you pretend you wear the hijab for modesty as a fashion blogger? But, the question should not be “how” or “why” fashion can be political, it should be: why isn’t it seen as such? Why is an interest in clothing seen as vacuous and shallow and those working within the industry as either vain or lacking intelligence & depth? And why is fashion--a form of art and communication--stripped of its political value when other forms of art largely do not come under the same scrutiny? To begin a conversation on the political value of fashion, let’s first have a quick chat about where and how fashion is devalued in society. And the fashion industry is no exception to the patriarchy’s reach. Although many of the “top” fashion design houses such as Dolce & Gabbana, Gucci, and others are led by men (who get to dictate womenswear), still, most of their clothing are being produced, sewed, and assembled by women – women, who are working in sweatshop or sweatshop-like conditions. Women, who--may I add--are still stuck doing the dirty work behind the scenes—en masse. So of course, in a patriarchal world, an industry dominated by women is seen as irrelevant, shallow, or silly – much less worthy of receiving a recognition of value. So, yes, this is unfortunately too real. (Except here at JooJoo Azad where we do both—very well). But you know what else? Fashion itself is deeply political. I always argue that all public art is political. Artists are either using art to challenge harmful norms, question the status quo, imagine alternatives, document & store narratives of the oppressed, heal and rebuild...or they're not. It is silent. It is complacent. It is representative of the privilege of being able to remain silent, to lack commentary on social issues. And as an art (although perverted with the mass commodification of fashion under capitalism), fashion is not exempt from its political significance – in fact, I find value in fashion and clothing as one of the more politically dense forms of art. Beyond the immediate, visual expression of politics that can be expressed on clothing—be it through the usage of particular symbols or colors, much like a painter’s canvas—there are multiple additional layers of the politicization of clothing: its production, consumption, and presentation and framing of our bodies in public space, are just a few examples. Multiple layers, I should mention, that are oftentimes ignored when deciding what piece to purchase on the consumer’s side or how a designer chooses to shape and mold the fabric pre-production, but nonetheless still politically potent decisions that aren't discussed often. 1. PRODUCTION | What does it mean for my skin, my body, and my essence to be intimately touching the product of harm, exploitation, and violence? What does this mean for me on a physical level? On a spiritual level? Granted, most of our consumer goods are the product of oppression and violence (s/o to capitalism), but what other product is touching our skin, constantly? The intimacy of clothing to our bodies is unparalleled. And yet, we don’t think twice about where—or who—our clothes come from. Who is profiting, and at whose expense? For me, the decision on where I source my clothing from is not only a political decision, it’s a spiritual one. What makes this incredibly tricky, though, is the accessibility of ethical fashion – there is a reason why most ethical fashion bloggers are upper-class white women. (i.e. why I don’t identify as an “ethical fashion blogger” but an “anti-capitalist fashionblogger”). Not only is ethical fashion usually expensive, it’s also hard to come by. When there is a Forever21 or Zara in every mall/shopping district, why ditch whatever is on-trend, cheap, and madly accessible for taking the effort to do research, buy less, and spend a minute to evaluate the implications of what it means for a shirt to cost $2? While we try to help out here and there on JooJoo Azad with the research part & finding the latest ethically-produced brands, “ethical capitalism” is only a temporary fix to larger political & economic systems and structures to which the current status of the fashion industry is very deeply wedded. (We recommend a lifestyle choice to minimalism as an alternative – more on that later). 2. CONSUMPTION | Not specific to fashion, but where our clothes are produced – and where we decide to ultimately give our money – are very much political decisions, even if advertising and a culture of mass consumption lets us conveniently forget this. Deciding to solelysupport Black-owned businesses (especially in relation to the current #BlackLivesMatter movement) is a political decision (one that, may I add, we fully support!). Boycotting brands that are supporting the Israeli military & apartheid regime when Palestinian civil society has called for international solidarity, is a political decision. Supporting small & local businesses or radical Black & Brown artists (like my super cute artist collective) is a political decision. Consumer power is (one form of) political power that we can’t forget many of us have. 3. APPROPRIATION | Are you aware of the cultural histories of each of the pieces of your #ootd? Did you know that the harem pants in your closet came from the people your country has imposed violent sanctions against and calls backwards? 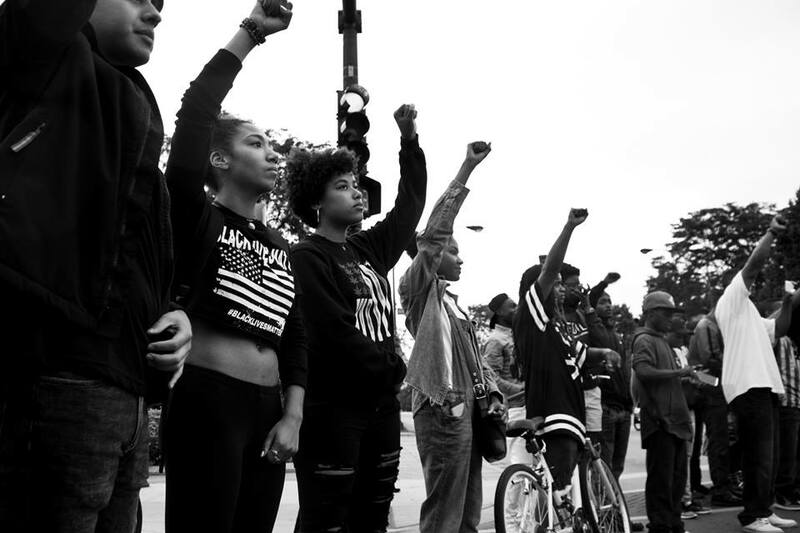 That your blue jeans and casual clothes became the new “cool” and widely worn today largely in part because of the Black Liberation Movement of the late 60s/70s when activists collectively said "f*** your respectability politics" and wanted a gender non-conforming, class-less “look” for when they were marching on the streets in mass? The same people who are calling Black protesters “thugs” and “criminals” today have benefited from what Black protesters have given them in the fashion department (of course, among countless other educational, economic, cultural, and political advances). Whether we know it or not, (and let’s be real with ourselves—it’s most likely the latter) the cuts, fabrics, patterns, forms, and symbolism of our clothes carry their own histories and political significances that are almost always lost in the process of mass production and consumption of clothing. Especially because cultural appropriation is such. a. normal. part of the fashion industry, it is all the more important to understand the legacies that we’re inheriting and how different types of culture are consumed as replications of larger power dynamics. We see Kuffiyehs—a symbol of Palestinian resistance—stolen by an Israeli designer and commodified as a form of cultural genocide and erasure. We see everyone and their white mothers wearing dreadlocks and looking “so #hip!! !” while Black people have to fight to be able to keep their dreadlocks in the workplace. Of course, appropriation is a very direct product of capitalism – the need to privately profit from a shared culture. And who wears what—and what histories are ignored, erased, and consumed in the process—is deeply political. P.S. Need a quick refresher on appropriation 101? We got you covered. / Looking for something more advanced? Peep this dope piece on a Radical Critique of Cultural Appropriation. 4. GENDER PRESENTATION | Many of you have heard the news: I pulled a Snowden and leaked that I’m working on a clothing line for 2017 (p.s. sign up for my monthly newsletter to stay updated with its progress!). One of my ethical values for this collection is to maintain gender neutrality and ambiguity in my pieces. For me, this is an ethical and political choice. As a cis person (someone who identifies with the physical anatomy they were born into), I’ve had the privilege of never really struggling to find comfortable clothes for my body or clothes. It's relatively easy for me to wear clothes that wouldn’t draw strange/hateful stares because of the way I choose to present my body as appearing contrary to how my gender might be assumed in public spaces (hijab aside). Fashion and clothing literally frame & shape our bodies for public presentation. Beyond the more obvious fact that what is designated as “menswear” and “womenswear” is largely reflective of a society’s relationship to gender roles and sexuality (just peek at Halloween costumes for a quick and easy idea of how gender roles are assumed in the USA, for example), clothing is very much a part of gender presentation. Why are fashion editorials with commentary on gender and sexuality so scandalous? What sort of commentary (or what sort of alternatives to oppressive systems) do gender non-conforming clothes provide? And why do you think it provokes such political outrage? 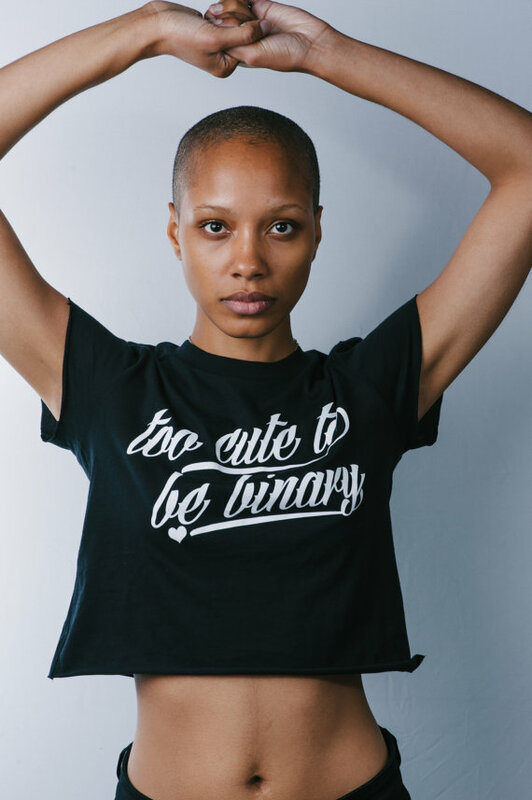 Fashion is being used as a powerful tool for challenging gender norms. And it’s beautiful. 5. SOCIAL CONFORMITY | Speaking of rad, genderless clothing, let’s stop talking about the United States (finally) and hop (confession: I don’t know how to swim) across the ocean to my motherland. Part of my academic research is focused on public, mandatory dress codes in Iran and their relationship to gender and class. 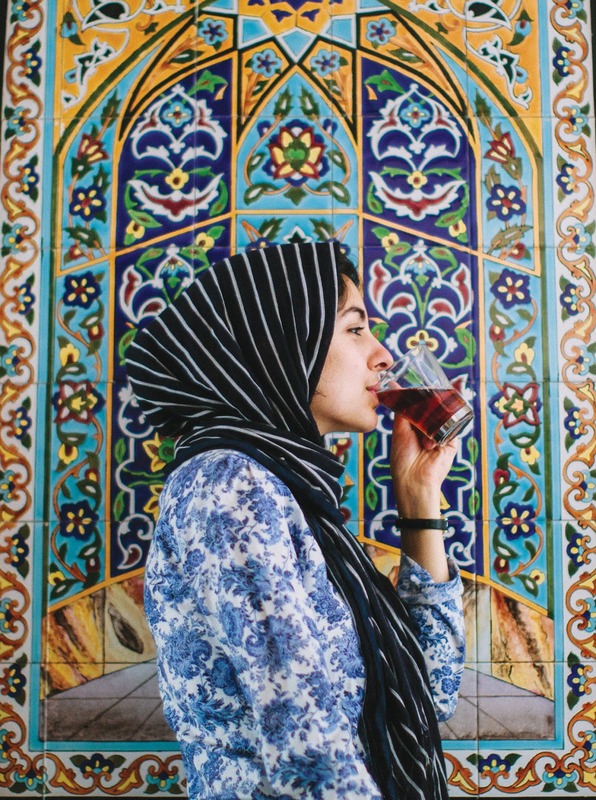 While I call out mandatory, government-sanctioned dress codes (whether that is mandatory veiling in Iran or unveiling in France), the history of Iran’s dress codes is worth having a conversation about – especially in the context of understanding broader political/social potential of clothing. This deserves (and will be getting) its own post in the near future, so let’s make this brief(ish): as I write in my book, the mandatory dress codes in Iran were originally institutionalized in order to assert national identity and fight cultural Westernization (a legacy of American Imperialism from the prior regime) while simultaneously erasing markers of class and gender from public space. While today these dress codes have “transformed into a sort of enforced conformity at home,” the newly-formed Iranian government, noting the political possibilities of clothing and dress codes, aimed to inspire egalitarianism through an enforced public dress code. As fashion has historically been in the business of marking socio-economic class, enforcing a state-sanctioned dress code is one way to erase this from clothing. And using a public dress code to erase gender and class from public space wasn’t just limited to the initial intentions of early, post-revolutionary Iranian policymakers -- as mentioned under point 3, many social justice movements in the United States and beyond used fashion conformity to unify and resist. 6. SYMBOLISM | Whether we like it or not, wearing a piece of cloth around our heads has indisputably become an incredibly potent political symbol. While of course the hijab is much more than simply a piece of clothing, the decision to wear a scarf around your head rather than, say, around your neck, leads to a completely different experience (to say the least). As far as I know, we've never seen anyone shot & killed execution style for wearing a a scarf around their neck. The hijab has even been used by American policymakers as an excuse for military intervention in Afghanistan (while white feminists silently looked on). But more than just the hijab, clothing is wrought with symbolism -- the kuffiyeh, the Dashiki, an afro, or a red hat that says "Make America Great Again" can say volumes about your political values (or lack thereof). I wear my heart politics on my sleeves--literally. When my existence as a hijab-wearing woman has already become a politically-charged symbol, why not continue to use my body to promote images of resistance? And with hate-crimes against Muslims skyrocketing, (with no decline in sight) let me tell you: your external appearance is powerful. Use it wisely. We need a collective, long-term, and transformative shift in our relationship with the production and consumption of clothing and fashion. We need to be aware of where our clothing is coming from and at whose expense. We need to be conscious of our consumer power and what we are saying about our political, moral, and ethical values based on who we are monetarily supporting (or refusing to). We need to understand the historical significances of our clothing, and the many public, social, and political layers to how we present and frame our bodies in public spaces. More concretely, we need to start the transition to a minimal wardrobe – i.e. something that I like to go on and on about on JooJoo Azad—and being selective and conscious about what and how much we are purchasing. Fashion is an art form, and should be consumed as such: slowly, mindfully, and wholly. you cannot choose to be apolitical about your fashion choices. As I wrote earlier—all art is political. Refusing to engage with the politics of fashion does not allow you to be any less political—it just makes you silent. At a time we cannot afford to be. Engage with your clothing. Be intentional and meaningful with what you choose to convey—and how you choose to do it. P.S. Thank you again to everyone who applied to the JooJoo Azad internship! We had a record number of talented applicants this year and have plans of expanding our team & mentorship program beyond a single intern. 2017, get ready for us.